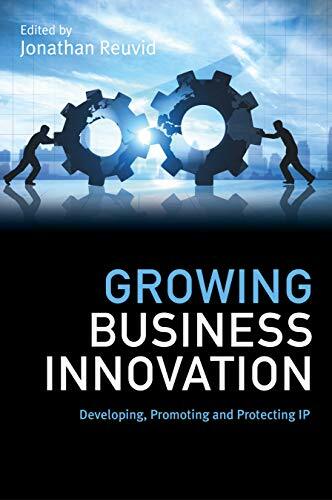 „Growing Business Innovation: Developing, Promoting and Protecting IP“ vom britischen Herausgeber Jonathan Reuvid beschäftigt sich mit aktuellen Herausforderungen in der IP. Wie im ersten Teil der Buchreihe hat sich Margit Höhne mit einem Kapitel zum Thema „The impact of General Data Protection Regulation GDPR on IP work“ beteiligt. Innovation is fundamental to business, which in turn contributes to economies and societies moving forward. Traditionally it means ‘a new idea, device, technique or method’ but increasingly it now refers to ideas that provide better solutions, meet the needs or even provide the answers to something not yet a problem. Growing Business Innovation addresses areas such as collaboration, challenges for large and small organisations, measuring innovation and getting a return on your investment. Das Buch kann bei Amazon bestellt werden. Geschrieben von Margit Hoehne am 25. März 2019 29. März 2019 .